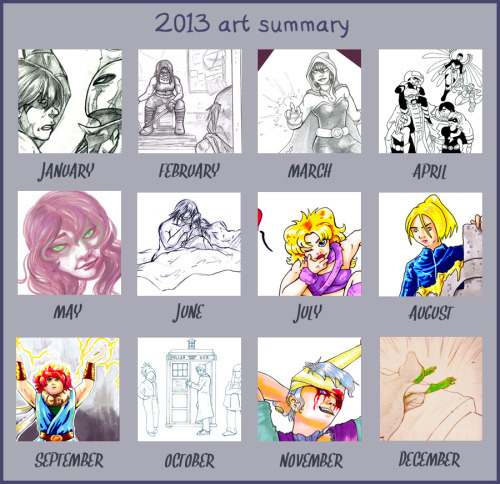 Here’s another year of sketching and drawing! Todays picture is a bit special. Firstmost becasue I have linked it from my online gallery on DeviantArt. Secondly because it’s a collection of thumbnails of pictures produced over the course of last year. Not all of these have been posted on this site, but you can either find them in full here or at my DeviantArt gallery.